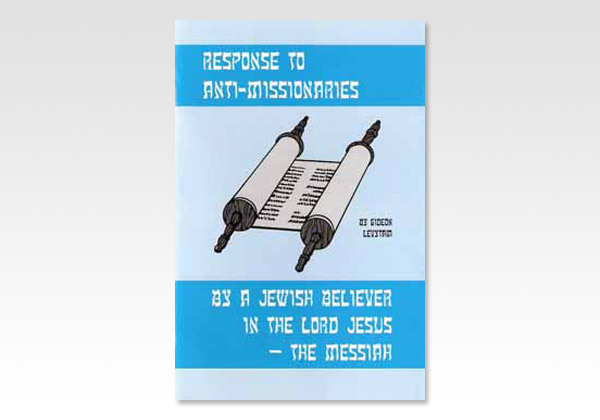 In the year 2000 a booklet, The Jewish Response to Missionaries: A Counter-Missionary Handbook, 3rd edition, by Rabbi Bentzion Kravitz was published in large quantities and circulated in the Jewish community in the city of Toronto by "Jews for Judaism." The purpose of this booklet was to warn the Jewish community against Jewish believers in Jesus the Messiah, who are actively sharing with their people the message of the Gospel about the Lord Jesus the Messiah and His atonement for our sins. I personally had the desire to review this booklet and respond to it in a Constructive way, consistent with the Biblical teaching. Questions about Jewish identity, faith and the promised Messiah have been occupying people for thousands of years. This booklet, written in the form of an open discussion, offers the readers a look into what the Bible has to say about these Issues. Gideon Levy tam is an Israeli who came to faith in the Messiah of Israel through a series of circumstances, and who has dedicated his life to sharing with his people, the Jews, the good news that the Messiah has already come.